Recently, a number of reports indicate that most open-market patch cords, such as Cat5e/Cat6 Ethernet cables, do not meet the standard specifications. In fact, the result comes as no surprise. There are two versions of the specifications, TIA and ISO (ISO is more stricter than TIA), but neither of these standards involves enforcement organization or licensing. Vendors get away with inferior Ethernet cable because the average consumer is the least able to buy the equipment worth $10,000 to check the purchase against specifications. The cat5e patch cable we used is designed to meet performance specifications up to 100 MHz (as specified in TIA-568-C.2), enabling it to handle common 100Base-T and 1000Base-T wired networks. The cable cat6 has higher performance confirmed to 250 MHz; enabling it to handle 10GbE wired networks. However, many vendors do not take specification compliance seriously because the transmission rate of the standard Ethernet cable and inferior Ethernet cable cannot be judged easily by non-professionals, but only by cable test devices. So some vendors manufacture Ethernet cables to very lax quality standards, which leads the good and the bad patch cords are intermingled on the market. What Are the Consequences of Cat5e/Cat6 Not Meeting the Standard? Assuming that your network switches are all set up correctly, the bad links will slow down by themselves, but the rest of the network will run at full speed. Otherwise, the switches will turn down the speed of every link due to one bad link, and the whole node slows down. This will affect your network transmission rate and data transmission. What’s worse, inferior Ethernet cables sooner or later will cause poor network performance and could even damage active equipment. Installing counterfeit cables is a risk that eventually will have an expensive cost of maintenance. How to Avoid Buying Inferior Cat5e/Cat6 Ethernet Cables? So if you want to avoid buying counterfeit cables, you have to make sure the following four points. 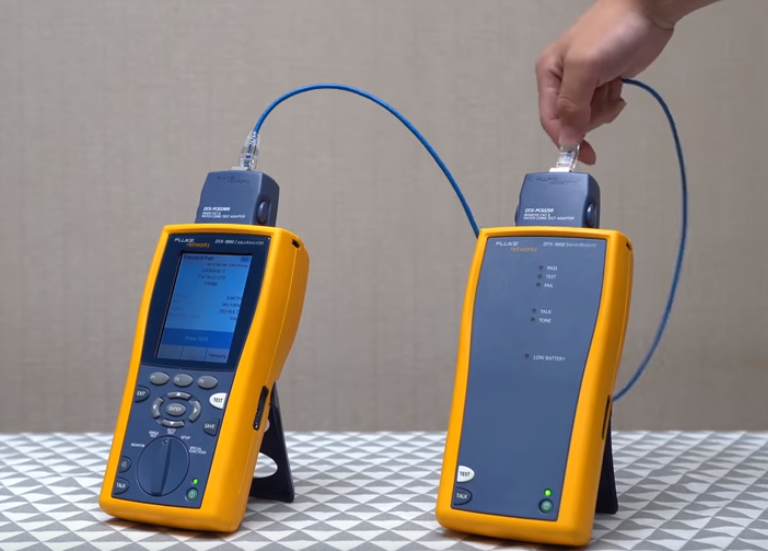 The Fluke test is considered as the most authoritative criteria for telling the quality of an Ethernet cable. This test includes patch cord testing and channel testing for Ethernet patch cables, and permanent link testing for bulk network cables. For Ethernet patch cables, the channel standard is not the applicable specification and is much easier to pass. Therefore cables passing the patch cord testing have higher performance. There are two types of Ethernet cable jacket, non-flame retardant, and flame retardant jacket. Maybe not every application requires a cable to have a flame retardant jacket, but when needed, it is critical for cables to have a flame retardant jacket for safety concern. 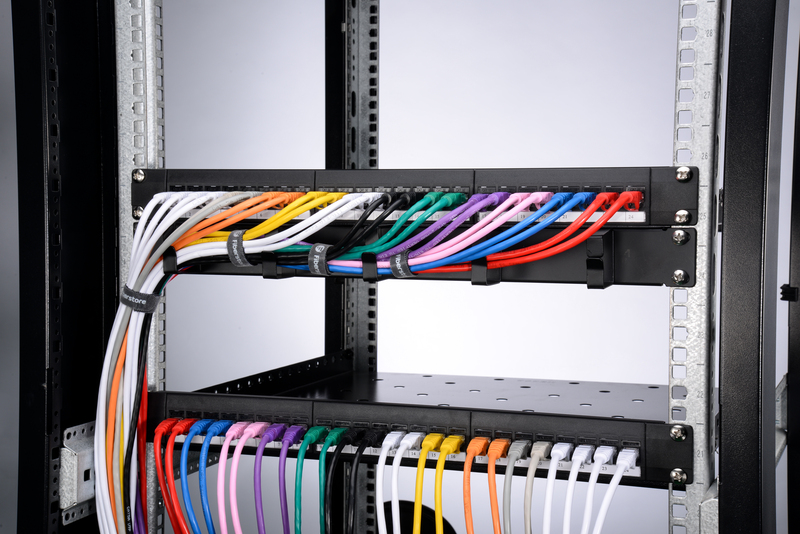 Normally Ethernet cables with PVC CM and CMP jacket are commonly used in patch cabling environment. However, some manufacturers replace CM and CMP flammability rating with inferior non-fireproof jacket material. That’s one point you would not want to miss. Last but not least, instead of buying the cable test devices, you need to select reliable sellers that can provide the Fluke test reports and product details of above. Buying cables from a reliable manufacturer is directly related to your cable performance. Choosing reliable manufacture is half the success of choosing a qualified Ethernet cable. Every Ethernet patch cables FS sells comes with its individual Fluke test report, showing that it meets the rated specification. If it doesn’t, FS won’t sell it. We manufacture the patch cable with top-quality oxygen-free copper and environment-friendly CM flame retardant jacket, and we certification-test every cable to ensure the performance. You’re welcomed to visit www.fs.com to find what you need.